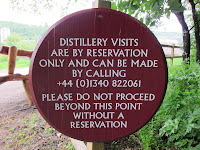 Part of the excitement of the Balvenie tour was that they offer no regular tour to the public; one must make a reservation ahead of time. Poking around on the web I see that the tours are limited to eight people and are offered only twice a day, once on Friday. Our guide was David Mair, the former Global Brand Ambassador for Balvenie at the top of his game, even though now he is the Balvenie Distillery Ambassador. His guidance through the tour was expert but also apparently effortless; it was obvious to me from the start that we were in very good hands. We have always been impressed by Balvenie. I have always found the label iconic long before I began drinking single malt. We also like the fact that it is family owned, now in the hands of the fifth generation of the Grant family. This fact is more meaningful for us perhaps than for most, thanks to our having been on the grounds of the Tuthilltown distillery in Garnder, NY the day that Charles Grant Gordon visited to help finalize the William Grant & Sons’ distribution agreement with the Hudson Whiskey company. Then there’s the taste, of course. 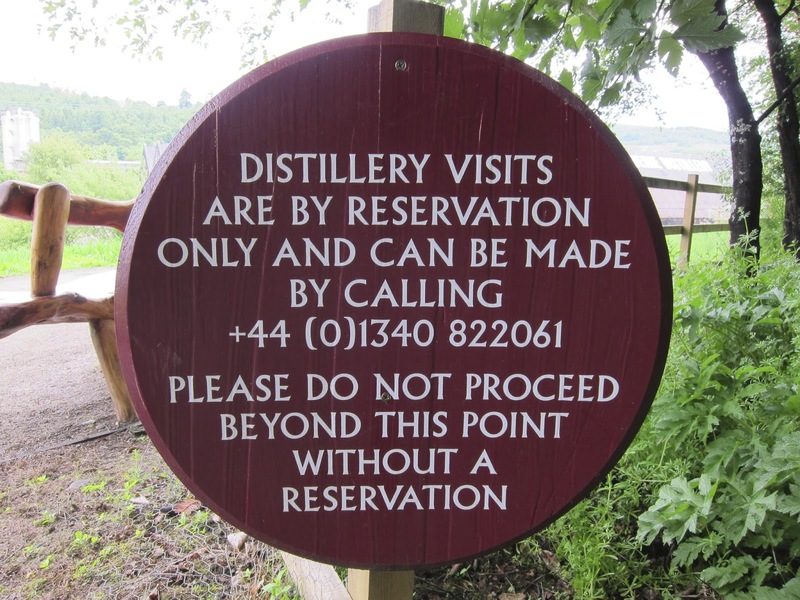 So being at The Balvenie Distillery, having it be the last tour of our trip, and being in the wonderful hands of David Mair—all of it conspired to make the event extra meaningful. Balvenie still does the malting on site, and we saw huge piles of barley awaiting water on the malt floor. There are machines to turn it, of course, but still two shovels of the traditional sort as well. David showed us the additional notches for as many as ten shovels. Certainly the maltmen appreciate the progress of industrialization. The ducks appreciate it, too. David told us that the ducks anticipate the arrival of the barley delivery by congregating around the opening of the chute into which the trucks drop it–and they congregate there before the delivery arrives (because they know when it usually shows up). Balvenie has a light peating of 7 ppm, and the mill is turned differently for each malt. Instead of the normal 70-20-10 breakdown of grist, husk, and flour, they have a greater number of categories enabling them to achieve more precision in their grind. On the way from the mash tuns to the wash backs, we saw a tablespoon wedged between the long bolts bracing the wort cooler. This is used to taste the draff. So for all of the technology and mechanization and computerization, there is still lots of room for the human touch. The wash gets 65-70% fermentation and clocks in at 9% ABV. I felt that it was the most delicious wash of all the ones we tried; you could bottle it right away and sell it with the Belgian dubbels. From here it was now time to look at the still room. Oddly enough, there are 6 spirits stills but only 5 wash still. 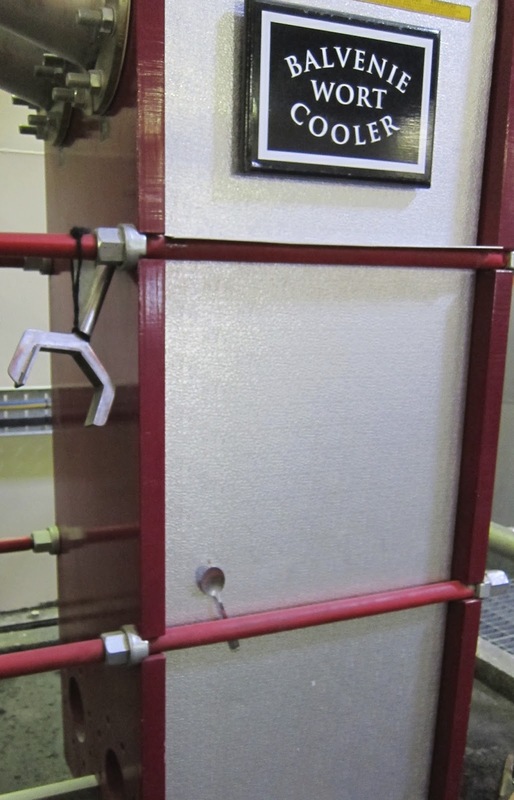 Having seen this part of the process before and having most of our questions about the basics of distillation already answered, we were quickly back where we started the tour and ready to tour the warehouses and cooperage. We jumped in the Land Rover and were off. Balvenie is one of the few distilleries with a cooperage on site. It was great to see the buzz of activity on the cooperage floor. There was a multi-armed robot that would fit the steel hoops perfectly around the staves, but it was far more compelling to watch the coopers move around the barrel with hammer and driver in hand, circling quickly but carefully, hitting the hoops with just the right force. 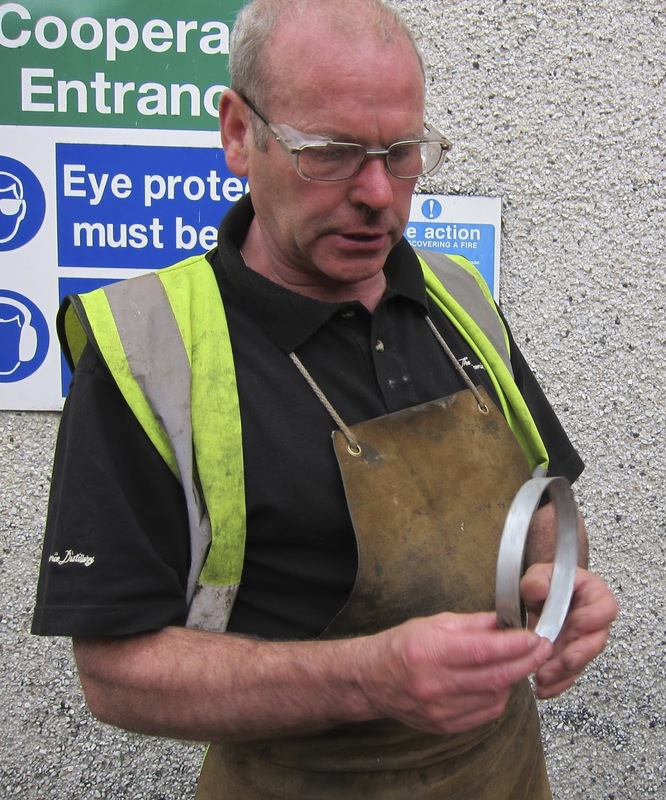 We met the head cooper, Ian McDonald who’d begun his apprenticeship in 1969 at the age of 15. He told us stories of dramming and how the head cooper at the time would treat injuries. Come in with a bloody hand and he’d pour out three drams: one to wash the hand, one to buoy the injured cooper, and the last for the medic. With such a treatment regimen, one imagines that every cooper had bandaged hands from misstriking the hoops. He also said that in his day, the apprentice period was five years, but now it’s only four, and he quipped that young people must be smarter today than in years past. I pointed at him and said, “no, they have a better teacher,” which he enjoyed graciously. From the cooperage we were conveyed to one of the warehouses. Balvenie keeps all of its spirit on site and, like every other distillery, places its vintages in different warehouses, lest a fire in one of them destroy an entire year’s output. The smell in the warehouse was unlike any other. I don’t know how many angels can dance on the head of a pin, but there must be orders of magnitude more dancing on these barrels. The air was perfectly redolent with brilliant spirit. Why cheesemongers aren’t clamoring to age their cheeses in these warehouses is beyond me (unless the barrel might absorb some of the smell of the cheese; perhaps that’s why we don’t see more gouda finishes). Our penultimate stop was in Warehouse 24. As a member, Stephen was invited to fill a small bottle from a 1974 cask that we would later sample. And the three of us filled 200 ml bottles, each picking a different cask (I chose cask 191, a 13 year old bourbon barrel clocking in at 63.6 % ABV. Flecks of barrel char swirl in the bottle, like a photonegative of Goldschlager, except that this actually is worth drinking.) David removed the bung from the barrel head of the Tun 1401 batch 9 marrying tun and let us sniff the black ruby colored liquid within. Mmmmm….. It was now time for a Balvenie flight; our pilot, David, set the coordinates for bliss and we were quickly taxiing down the runway. and the 1974 cask strength expression that Stephen drew from the barrel in Warehouse 24. What can be said about about this extraordinary flight? My hand written notes seem to be written as if by a Babylonian court stenographer. Suffice it to say here only that the chance to enjoy a flight of your favorite whiskies, right where they are made and aged, is not to be passed up. 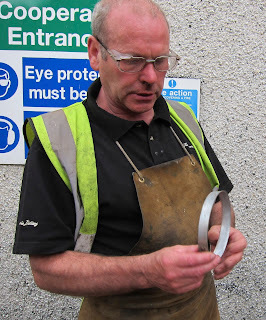 A tour of the sort we had with David Mair changes your relationship to a whisky. You see it in duty free shops, or at your local shop, and you see an old friend with whom remarkable experiences have been shared.